Some readers both at Gates of Vienna and at the Danish blog Snaphanen argue that we should simply forget Breivik and ignore him. They're missing the point. This is less about the deranged terrorist than it is about how he has been used by the mass media and political elites. His atrocities have been cynically exploited in order to harass, intimidate and stigmatize people who are critical of Islam and uncontrolled mass immigration. Breivik can no longer hurt anybody from his prison cell — apart from the dozens of families he already destroyed in July 2011. Yet he can still be used as a tool by others. It's easy and tempting to say that Anders Behring Breivik is now in jail and therefore harmless. Why not just throw away the key, let him rot and never speak of him again? Why give him more of the attention he so desperately craves? I fully understand such objections. 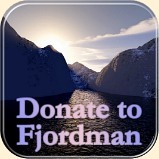 I'm at least as tired of Breivik as everybody else, although not always for the same reasons. Yet while Breivik himself isn't interesting or relevant, the use (or misuse) of him and his crimes is. First of all, I am Norwegian. In Norway, this case will be talked about still for years to come. Second of all, even internationally, Breivik is not fully forgotten. He continues to be mentioned and used by people with significant power and influence. For instance, representatives of theEuropean Union have highlighted Breivik as an example of "right-wing extremism" they must do more to combat. As long as Western mass media continue to refer to him dishonestly as an Islamophobic terrorist or anti-Islamist, these false claims must be countered. As recently as in January 2014 — the month in which I am writing these words — he was mentioned within the space of a few days in places as far away as in Germany and the USA. Unfortunately for all of us, he is not irrelevant. In addition to his earlier manifesto, by early 2014 it was claimed that Breivik had recently written another book of more than 1,000 pages. Yet he continues to be inconsistent and largely incoherent in his writings. It seems more and more likely that Anders Behring Breivik actually does suffer from paranoid schizophrenia, just as the first forensic psychiatrists suggested. As a number of observers have correctly pointed out, writing long, incoherent journals that don't make logical sense to others is relatively common among psychiatric patients. That includes some of those suffering from paranoid schizophrenia. This could explain strange features in certain sections of the so-called manifesto. It is for instance not at all common in a supposedly serious political text to write in detail about the alleged venereal diseases of one's sister. Yet Breivik did precisely that, plus many other bizarre things. He also dedicated page after page to descriptions of the invented medals, shoulder boards and other military insignia that members of the imaginary Knights Templar should get for their massacres. Lenin talked about useful idiots. For those who would limit criticism of Islam and Muslim immigration, Breivik was a useful nutcase. In November 2013, my alleged biographer Simen Sætre talked to Sunnmørsposten, the leading daily in my small home town. My grandfather, who has been operated on for cancer and turned 84 that same month, reads this paper. In it Sætre proclaimed that it is a "gray area" whether or not I am co-responsible for 77 murders. He further indicated that I get off far too easy in the Norwegian press. And yet I was compared to Adolf Hitler only a few months earlier! Sætre further claimed that one of the goals of Breivik's terror attacks was to promote certain Islam-critical writers, chief among them myself. He was essentially suggesting that one of the killer's secondary goals for murdering 77 people was that I should acquire more readers. That's a horrific and sneaky way of imputing co-responsibility for mass murder. The only problem with this theory is that Simen Sætre's views lack any factual basis. During the trial it was concluded that Breivik is a sane and rational anti-Islamist. This claim is highly dubious at best, and perhaps completely false. It is quite possible that the man is just plain insane. To the extent that he exhibited rationality about anything, the purpose may have been to damage peaceful people on the political Right in general and non-violent anti-Islamists in particular. Are quite a few Islam-critics named or quoted in the first half of Breivik's compendium or manifesto? Yes. The question is: Why? Western mass media have almost universally adopted the explanation that the people who were quoted in the manifesto were somehow Breivik's accomplices who indirectly encouraged him to commit terrorism. The serious flaw in this explanation is that not one of these non-criminal writers has ever called for anything remotely resembling terrorism. Another perfectly plausible explanation is that these writers were cited by Breivik because he wanted to damage them. After all, this was the actual result. ABB had already indicated in his 2011 manifesto that he thought the right-wing Progress Party would be damaged after his attacks. He was perfectly content with that. Furthermore, he stated repeatedly in plain words during the trial in 2012 that he wanted to create a "witch-hunt" against non-violent anti-Islamists and conservatives. When it became known by early 2014 that Breivik stated explicitly that he quoted anti-Islamists in order to damage them, this alternative explanation was no longer just a theoretical possibility: it is now the most likely explanation. This development is obviously hugely embarrassing to large sections of the Western mass media. First of all, it implies that they have systematically implemented the wishes of a deranged mass murderer. Secondly, it further implies that they have unfairly smeared many different groups and individuals for several years. As a result, many of these demonized individuals deserve a public apology, including myself. In Norway alone, there are dozens of public figures, journalists, university professors and politicians who would be well-advised to express public contrition. They all contributed to one of the worst cases of character assassination against a non-criminal person in the nation's recent history. I won't hold my breath, though. This case has already stolen several years of my life, even though it involved crimes I had nothing to do with, committed by a man I've never met. After my book Witness to Madness is published later in 2014, I will say as little as possible about the case for the next decade or so. Perhaps ten or twenty years from now people will look at these events with different eyes — not at the horrific crimes committed by Breivik, but at the cynical way they were exploited politically to target others who had done nothing more than speak the truth about what is happening to the West. 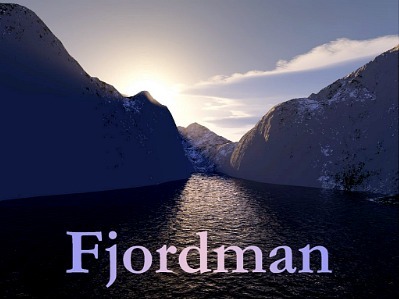 For a complete archive of Fjordman's writings, see the multi-index listing in the Fjordman Files.